One of the defining bands of the New Wave era, although the closest they ever had to a hit was "A Million Miles Away," one of the poster children for CD collections of the time. 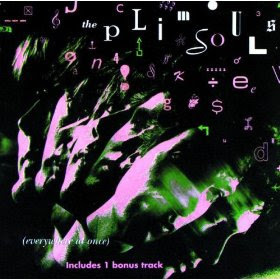 While some New Wave bands added plenty of synths and others did short poppy rock songs wearing skinny ties, the Plimsouls were your way better than average garage rock band, playing mostly minor key dirty rockers with an occasional nod to R&B and soul. Led by Peter Case (who eventually became a solo troubadour when the band broke up), the Plimsouls stood by the garage rock aesthetic, three guys furiously bashing their guitars amped up into overdrive, a wild and crazy drummer, and a pack of excellent songs either putting down women or madly chasing them. The Plimsouls' first EP arrived in the mail with an explanation of what plimsouls were -- a type of shoe, although if you Googled the word now, all you'd come up with are band references. LA was pumping out lots of bands with names beginning with the word "The," all crafting catchy three-minute rock songs that were the norm of the period. It got to the point where they were all a blur, record labels spitting them out, and truly there were some gems that would either rally the critics or die under the radar. That EP, more soul-infused than later material, contained some wonderful songs, like "Zero Hour," "Now,"and "Lost Time," which actually feature R&B-inflected horn sections. 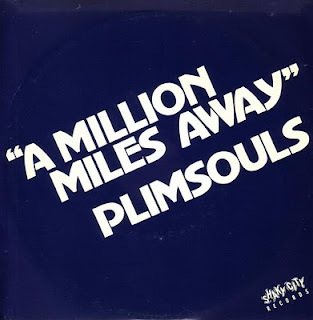 There was an original version of "A Million Miles Away" on Shaky City Records that I remember hearing on Long Island's WLIR-FM radio. Once the band performed the song in the early Nicolas Cage cult movie Valley Girl, they re-recorded it on a bigger budget, and it became part of the outstanding and much darker Everywhere At Once album on Geffen Records. By the time the song broke all over the more adventurous FM rock stations, the Plimsouls had broken up. For some reason I stayed. And there was nothing left to bring me back. And there's nothing left to bring me back today. Gone from the places that we used to go. And there's nothing left to bring me back. Primo garage rock with a spike of nasty -- "The Oldest Story In The World," "My Life Ain't Easy," "Play the Breaks," "Inch by Inch" and a cover of The Rare Breed's "Beg, Borrow and Steal." Timeless and real rock music -- and the album is still in print! Here are the official video for "A Million Miles Away," a live concert video of the earlier "Zero Hour" and a homemade one of "Now" from the same original EP.